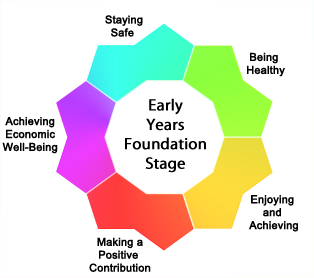 EYFS stands for Early Years Foundation Stage. EYFS is an education framework introduced in the United Kingdom for children upto five years of age. It is designed as such that it promotes the welfare and development of a child in his early years and prepares him mentally as well as physically so that he is ready to start school. Uniform standards for all education providers. Health and safety of children. Knowledge and Skills acquirement by the child. Analyse behavioral traits of a child. The EYFS is built such that it requires the involvement of all the people who are impacting the child in one way or the other. It may be used by School Leaders, School Staff, Childcare Providers, Childminders or even Parents as well. Maintained schools, non-maintained schools, independent schools (including free schools and academies), all providers on the Early Years Register and all providers registered with an early years childminder agency (CMA). What are the objectives of EYFS? Safeguarding and Welfare of children – These requirements include staff secutiy check, facilities and equipment check and quality of environment check such as outdoor spaces. Learning and Development – This set of requirements focus on the key areas of learning such as pesonal, social and emotional development, communication, language and literacy, problem solving and reasoning, knowledge and understanding of the world, physical and creative development. First by the school authorities at the end of 2 years through a series of tests. Second by the OFSTED, at the end of 5 years through the EYFS Profile. This profile is to be completed by the end of 5 years. Child Learning JourneyTM is a digital product suite of web portal, tablet and mobile applications. Child Learning – India and Child Learning – United Kingdom is trying to fill the communication gap between parents of young children (5 months to 5 years) and institutes such as nurseries, day cares, creches and primary schools regarding the child learning and development journey by using digital channels and technologies. The applications and portal have been designed keeping in mind the EYFS Profile as well as the framework and helps the school authorities and parents work together towards the growth of their children. Both parents and teachers can now check the daily progress of the child through sending the Daily Diaries. Teachers and parents can capture and share the special moments of their child through cMessages. Parents and teachers can now communicate seamlessly through our applications and help their child overcome the difficulties which he is facing.